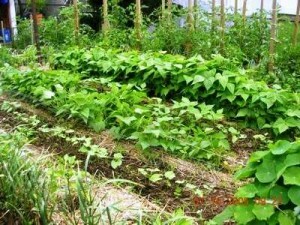 Companion planting can play a significant role in assisting with pest control. It is a methodology that has more to do with observation than science, but it does seem to work. A few times now I have mentioned companion planting. For those who wonder what it is, companion planting means putting plants together in the garden that like each other, or help each other out. Companion planting can have a real impact on the health and yield of your plants. Organic gardeners strive to achieve a balance in their gardens so that they do not require chemicals for pest or disease control. Some combinations work because of scents they use to repel insects, others work because they attract good bugs (that eat the bad bugs). By using companion planting, many gardeners find that they can discourage harmful pests without losing the beneficial allies. But it is not just about pest control. By combining plants carefully, you can create plant communities, Companion Planting which help each other in terms of providing nutrients in the soil or by companion plantingoffering protection from wind or sun. In some situations they can also help enhance the growth rate and flavour of other varieties. If you have limited gardening space, planting companions with different growth rates or requirements can lead to a more fruitful harvest. Also, plants that need lots of nutrients are often paired with those that “feed” lightly. 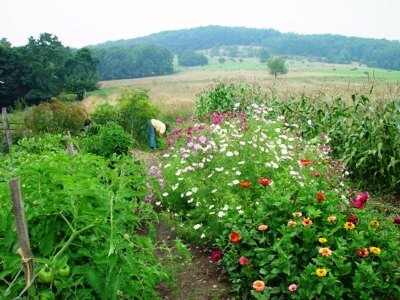 In essence, companion planting helps bring a balanced eco-system to your landscape, allowing nature to do its job. Nature integrates a diversity of plants, animals, and other organisms into every ecosystem so there is no waste. The death of one organism can create food for another, meaning symbiotic relationships all around. There are many varieties of herbs, flowers, etc. that can be used for companion plants. Some possibilities would be using certain plants as a border, backdrop or inter-planting in your flower or vegetable beds where you have specific needs. 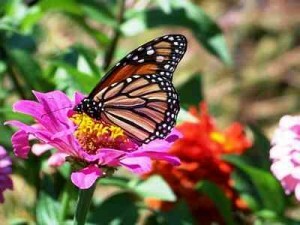 Use plants that are native to your area so the insects you want to attract already know what to look for. 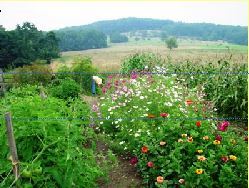 – Three sisters: One of the oldest and best-known examples of companion planting is the Three Sisters garden, planted by many Native American cultures. 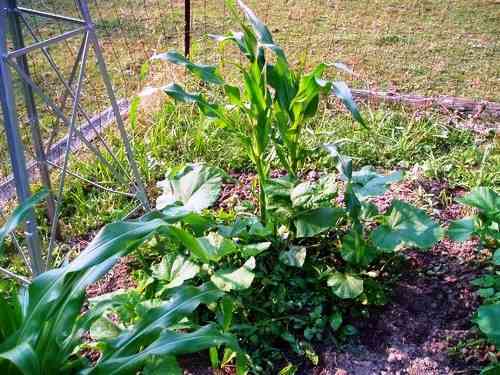 The sisters – corn, beans, and squash – are planted together in such a way that they aid each others’ success in different ways: Tall corn stalks provide support for pole beans to climb. Beans fix nitrogen from the air into the ground in a form that plants (especially nitrogen-hungry corn) can use. 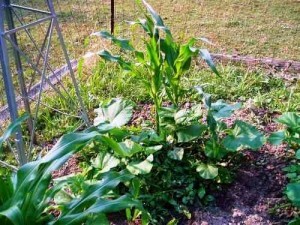 And large, ground-hugging, prickly squash leaves shade out weeds and may deter critters. – Roses and garlic: Gardeners have been planting garlic with roses for eons, because garlic is said to repel aphids and rose pests. Garlic chives probably are just as repellent, and their small purple or white flowers in late spring looks great with rose flowers and foliage. – Marigolds and tomatoes: Marigolds will repel white fly amongst tomatoes and kill root knot nematodes. 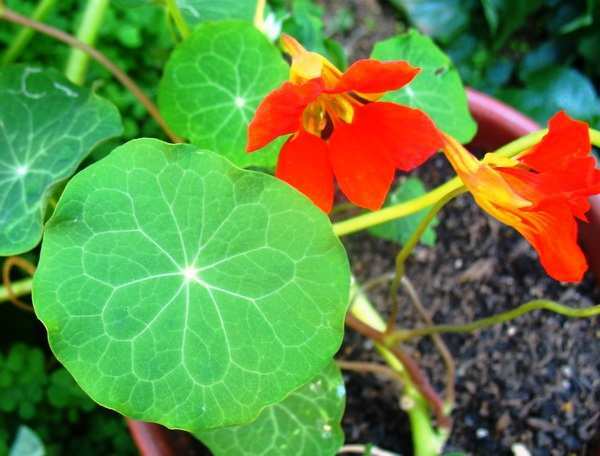 – Nasturtium and cabbage: Nasturtiums are a magnet for caterpillars that will then leave the cabbages alone. 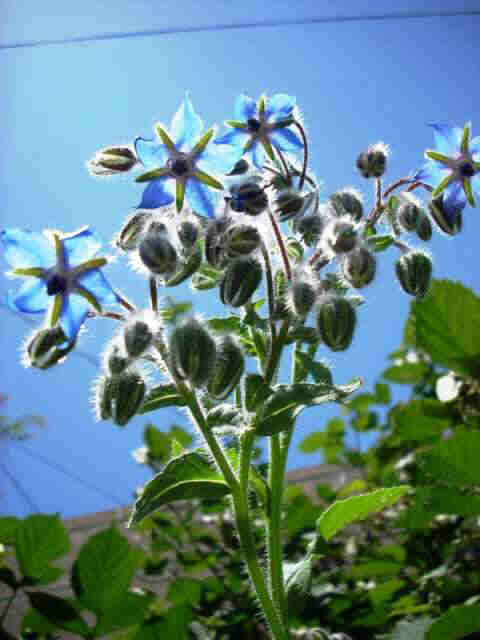 – Borage and strawberries: Borage in the strawberry patch will increase the yield. Companion planting is an old gardening tradition combining beauty and purpose to give you an enjoyable, healthy environment. Have fun, let your imagination soar. There are many ways you can find to incorporate these useful plants in your vegetable garden, orchard, flower beds etc. When planning your garden, take some time to think about the layout of your garden to incorporate some of the companion planting ideas. Make your own observations while trying different combinations. Be open to experimenting and find what works for you. But keep in mind that just as we have good neighbours, there are bad neighbours as well. Some plants really dislike each other, and should not be planted in close quarters. Learn the science behind companion planting in your organic garden. Leverage the effects of various plants on their environment to your advantage. Spain Info, companion planting San Francisco De Asis, Urb Marina, San Fulgencio, 03177, Alicante, Spain.